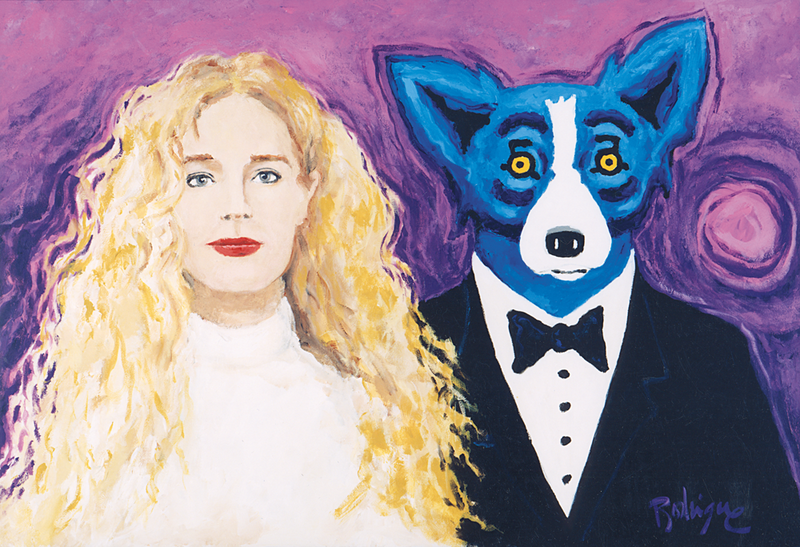 On March 1st, 2011, George Rodrigue and I celebrate fourteen years of marriage. He kindly insists that our gift to each other exist as a re-blog of my choice. This provides me with a week away from blogging, more time for Mardi Gras and my current obsession with Cleopatra (a new book by Stacy Schiff), and best of all more cherished conversation and unpredictable adventure with my husband. 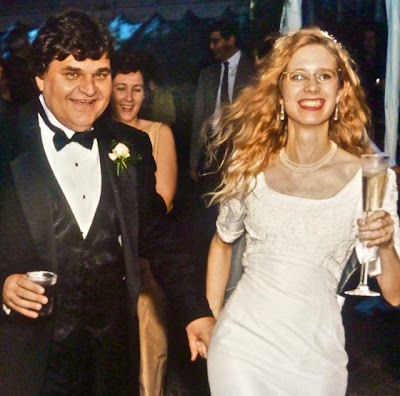 We were married on a cloudy day, as we stood beneath an oak tree on Jefferson Island near George's hometown of New Iberia, Louisiana. Of the five hundred (or was it eight hundred?) people in attendance, I knew maybe fifty. It was two weeks before my thirtieth birthday. Looking back, I could have done without the grand affair. One would think, as often as I dreamed of being a princess or festival queen, that this would be my moment. Yet we were engaged for a short two months, and I had no part in the wedding plans, other than my hope that the tulips would bloom in time for the ceremony. They did not. Two days before our wedding, George took me to Mary Ellen's Bridals in Lafayette, Louisiana, where he chose a sample dress from the rack, helped me into it and onto the pedestal, and doled out $200 cash for a used gown that I could barely see through my complicated tears. Two weeks earlier, I chose the first china pattern I saw on the Dillard's shelf, unable to deal with the process and the tradition, with the fairy tale happening to my life. "Forgive me, but it seems to me you're in a muddle," said Mr. Emerson to Miss Honeychurch in E.M. Forster's A Room With a View. 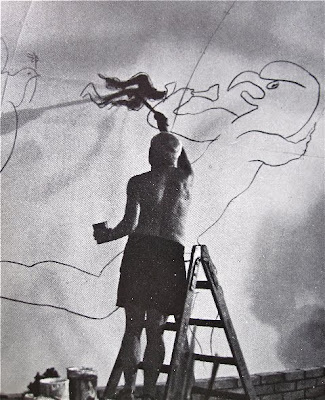 That weekend I would marry Picasso, standing before what seemed like the entire world, and I felt overwhelmed. How could I know that in a mere ten minutes --- the time it took for Kiri Te Kanawa to sing (via recording) Puccini's "Chi il bel sogno di Doretta" from La Rondine; the time it took for me to realize as I walked the path around the oak tree that tulips bloomed in pots throughout the grounds, a surprise gift from George; and the time it took for this remarkable person to speak of his love for me in front of everyone he knew --- I would know unplanned, eternal, and perfect romance. 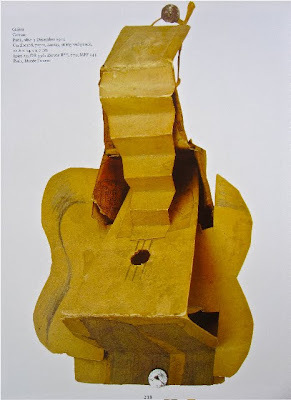 Note: As if reading our minds, Douglas Shiell of the Rodrigue Gallery gave us a book this week, Picasso Guitars: 1912-1914, recently published by New York's Museum of Modern Art. 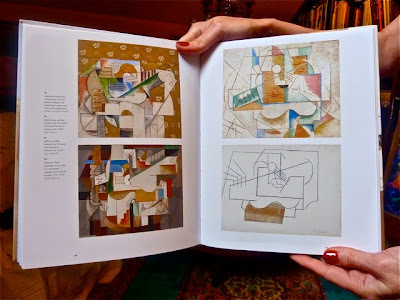 George and I poured through it together, discussing repetitive imagery, "taking the same thing and doing it in a different way," said George, pausing on these pages. By the time my sister and I appeared, the money was gone, the dresses relegated to a costume closet, and the cars long sold. But the art books remained (and remain) protected and precious. 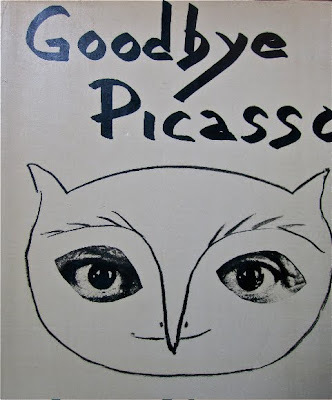 Among them is a boxed set of linen-covered monographs of modern artists. 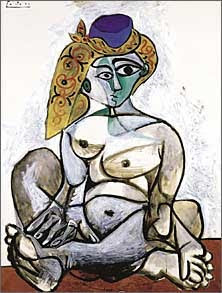 These include Klee, Kandinsky, Dali, Braque, and my favorite, Picasso (pictured). 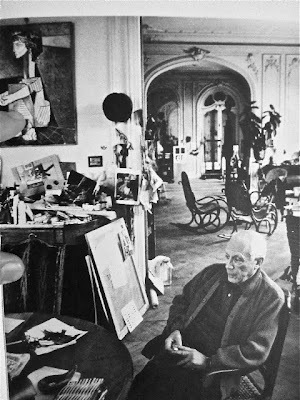 Pablo Picasso died in France in the spring of 1973. 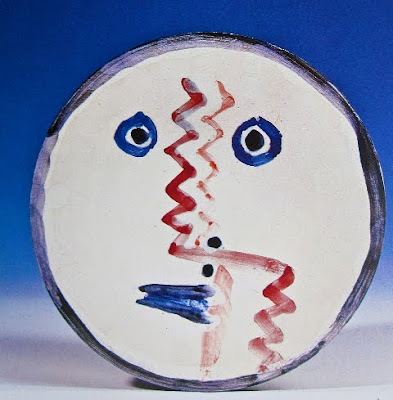 I was a young child, but I recall my mother showing me his work and talking about this creative genius. Her hero-worship affected me, and the artist rose even higher on that pedestal when my elementary school art teachers chose him for our studies. 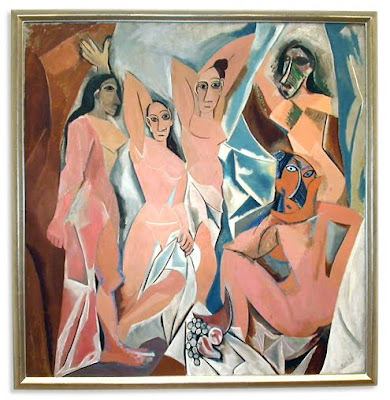 Looking back, they probably found Picasso more accessible to young students than the more lofty Abstract Expressionism of the day, as typified by artists like Motherwell and de Kooning. 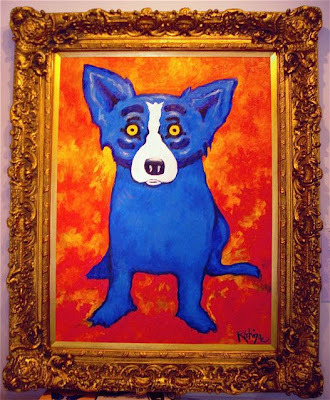 (Pop Art, as far as I can tell, was either not yet understood or not yet taken seriously enough to be worthy of the classroom). 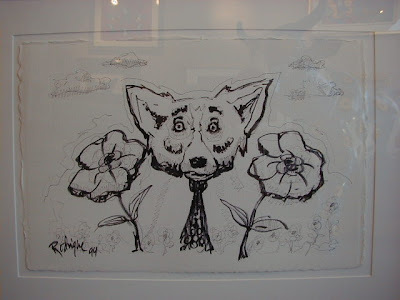 It was during this time that art took on specific meanings for me. 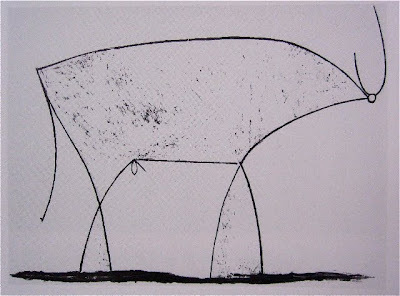 I became an art snob in my circle-of-one. 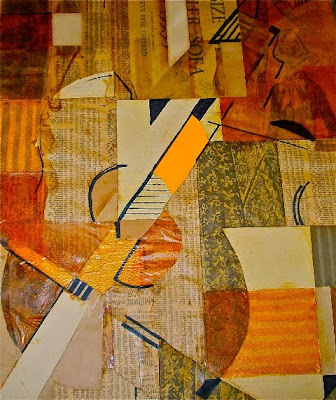 I gained freedom of thought, and I dared to look at art in my own way. Happy Anniversary a day early...from a 26 year veteran! LOL! Thank you for the kind words Anne and Dorian! Congratulations to you and George, Wendy! Best wishes for many more years of romance and companionship. 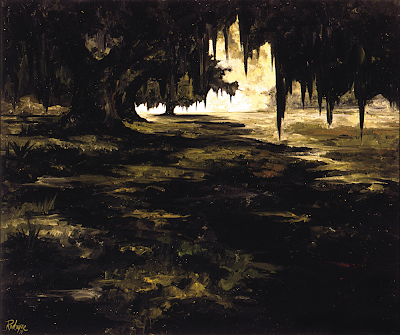 This was an interesting post and I think you are totally right about George's 1972 painting of the oaks. It is a masterpiece and I just love its darkness. Thank you, Nancy -- I'm always delighted to hear from my favorite 'art blogger'!